Udoka Uju is a young lady from Imo State, Nigeria whose work as a painter has been shared by hundreds of people on Social Media. She is a graduate of the University of Port Harcourt, where she studied Economics. After graduating in 2010, with no clue on what to do, she picked up Rick Warren’s “The Purpose Driven Life” and began to navigate a new mindset for herself after that; first in the financial sector and later in the creative world. She realized she enjoyed bringing walls to life through paint and imaginative use of colors. She loved painting walls, making the spaces beautiful, inviting, warm and cozy. That was how The Lady Painter got started! For Creative Girls: Your work is impeccable, how and when did you start painting? And what led you to painting? Thank you very much. I started painting in October 2015, not long ago. How I started is quite funny, as I have never been known to be artistic. I don’t know how to draw, I hated fine arts back in school. But one thing that I was good at was how to draw a line, I know a straight line when I see one and I have a good eye for detail. What led me into the interior and exterior painting is the fact that I have been to many homes (mine included) and I see the same wall everywhere. Nothing interesting to look at or some walls just have funny designs or colour combination. Lol. So, I saw that as a problem, and I asked a few friends what they thought about having a beautifully designed wall and they all loved the idea but feared that it was a luxury to have such in their homes. 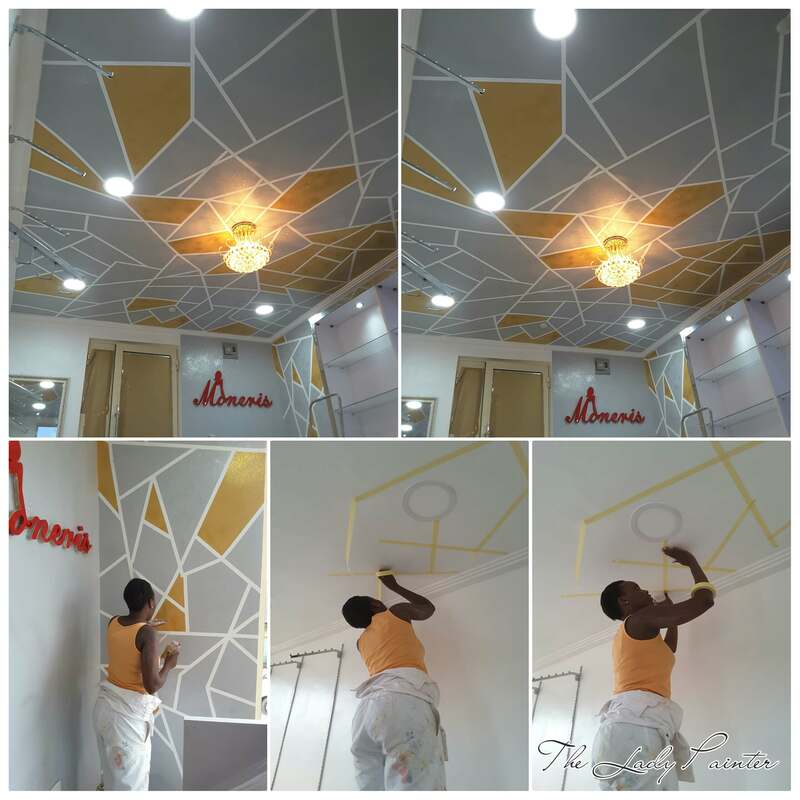 That led me to want to be a painter, to paint homes and offices beautifully at very affordable priceS. What’s your everyday routine like? How do you usually approach daily creative tasks? Hmmm…my everyday routine. I like to start my work very early so I can finish on time with natural light. So I go to my site early in the morning, sometimes I go over the design again with my clients to make sure we are on the same page or if they would want something else. I take a walk around the spaces, mix my colours and then I paint. I usually get prepared for a paint job the day before. My bag is packed with all my tools, I take more tools than I actually need lol. But I do that so I don’t anything at a location. Sometimes when I start a design, I usually don’t know what I am doing till I am finished, especially when a client tells me to just go ahead and paint without telling me what they want. Do you come up with creative concepts or do clients usually say what they want and you work with their plan? I let my clients decide what they want, of course with me giving them my professional advice. Sometimes, they tell me to just run wild with their walls lol. They trust me enough to do a beautiful job. But, we always decide on the colours together. I don’t impose any design or colour on my clients. So, for clients that don’t tell me what they want exactly, I send them progress pictures as I work. Is painting a full-time work for you? Or do you have something else you juggle with this professionally? Painting is not a full-time work…yet. Presently I work in one of the leading banks in Nigeria. So I work in the corporate world weekdays and weekends I am a painter. But, I am in my transition period so I am going to be a full-time painter very soon. So, you are both a creative person and business owner. How do you handle the creative aspect and the business/financial aspect? Or do you have someone managing the business for you? I am in the business alone, for now, I just have painters that paint for me. I handle the marketing and financial aspect of the business alone for now. But my business is expanding soon so I would have to employ people to handle some of all that. Is it challenging being a female painter? What reactions have you dealt with? Lol, yes it is challenging. I mean I am working in a male dominated field, so you can imagine the response I get sometimes. People don’t believe that I am actually a painter, they always have this funny look on their faces when I tell them and then they have a surprised look when they see the seriousness in my face. I also show them pictures or videos of me painting as proof, they just find it hard to believe me. My definition of creativity is applying a totally new and different approach when doing something meaningful. We should always use our imagination, we can never use it up. 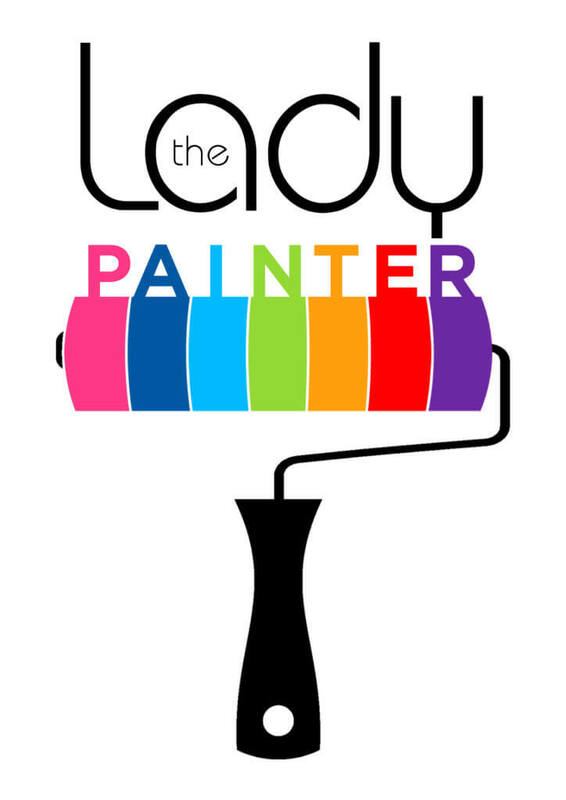 What are your plans for The Lady Painter brand in the next couple of years? Oh! I have big plans for The Lady Painter. In the next couple of years, I plan to expand the business to have more Lady Painters. I plan to employ women and train them to be painters. I plan to operate nationwide, so we would be able to transform homes all of Nigeria. Where can people find you or reach you? I am located in Lagos and I can also travel to any part of the country to do a job. I also have my presence on the major social media platforms – Twitter, Instagram and on my Blog. My phone number is 08063275102. 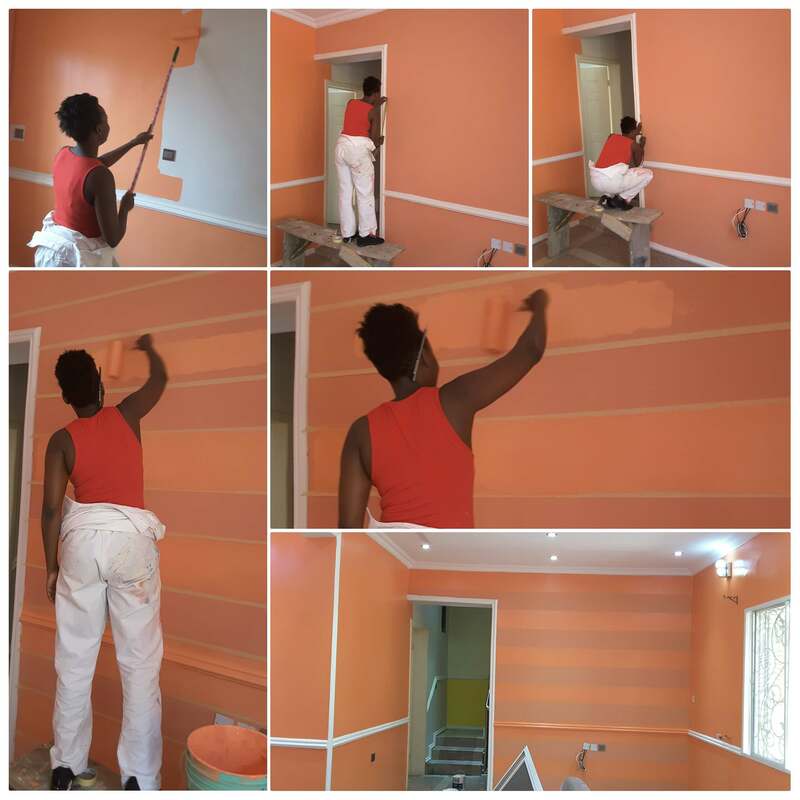 You can also reach me via Email : theladypainterng@gmail.com. Keep up the good work Udo. This babe is amazing and driven!! I am truly inspired. Keep it up Udoka! well done Udoka!!!! You’ve challenged us to “always use our imagination, we can never use it up”…..keep up the good work. Yayy! Thank you for reading. This is so so inspiring!!! I just checked out some of her work on Instagram. It’s really really cool. Well done to you!